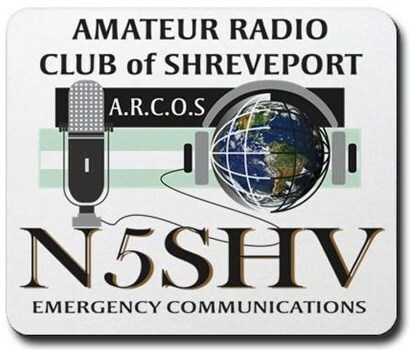 Members of the Amateur Radio Club of Shreveport meet on the first Tuesday of each month at 6:00 p.m. All amateurs and interested guests are invited. Meetings are not held during the summer months of June, July, and August. This year, our meetings will be held at a the Shreve Memorial Library - North Shreveport Branch, 4844 N Market St, Shreveport, LA 71107. The exact location may change based on branch availability, specifics will be announced on the weekly ARCOS 2 meter net for several weeks prior to the meeting date if necessary.